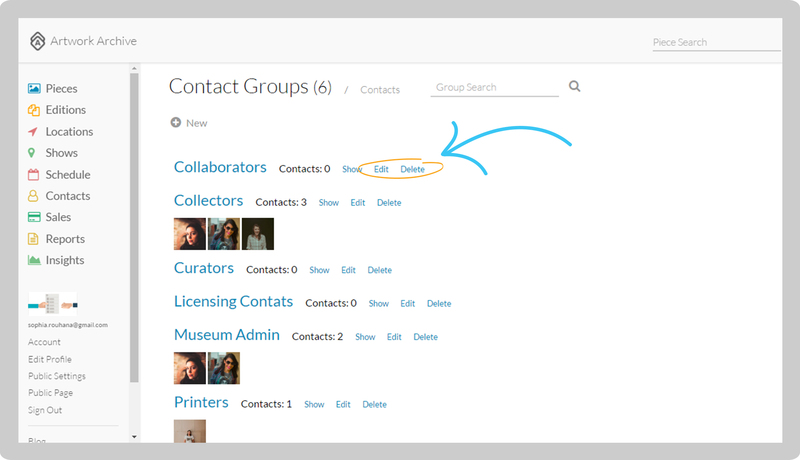 Click on Contacts and click Groups. Click New and name your Group Name (Ex. Galleries, Collectors, Art Festivals). Then click Save. 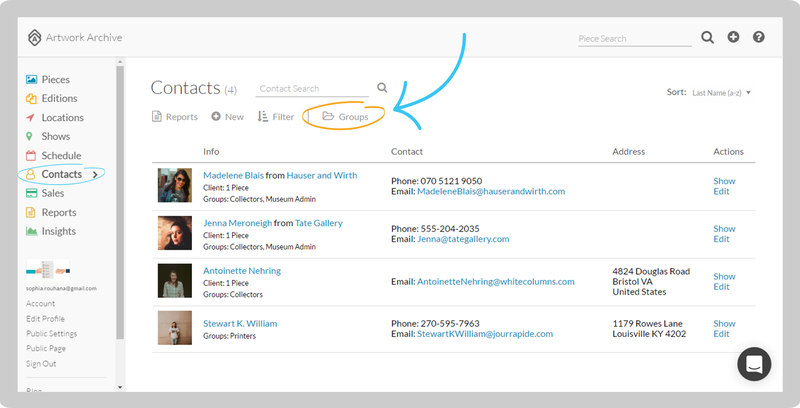 Click on Contacts and click Groups. Then click Edit to change the name and click Save. Click Delete to delete the group permanently. The Contacts within the group will not be deleted.